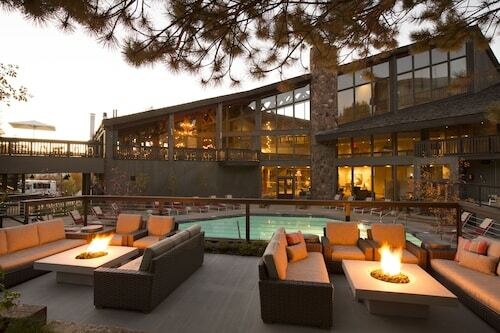 Expedia has some top notch Jackson Hole vacation packages. Combining your bookings is one of the easiest ways to save time and cash — and get your adventure off to a flying start. Reserve a package deal on Expedia and save as much as 40,450 YEN*. With more than 400 partner airlines and 321,000 properties to select from on our comprehensive database, you won't have any difficulty designing your perfect vacation. If you have to change your vacation plans, we'll honor your cancellation request on almost all reservations with no added fees. We've got all the sizzling hot sightseeing tips for your next trip to Jackson Hole. Grab your travel planner and get ready to start padding out your itinerary. There's no need to worry about feeling bored in this animated city. National Elk Refuge and the National Museum of Wildlife Art will keep you on the move. Jackson Town Square and the Jackson Hole Historical Society and Museum are just a few more fabulous attractions that are worth going to. Few things are nicer than putting your feet up after a sensational day out on the packed powder. 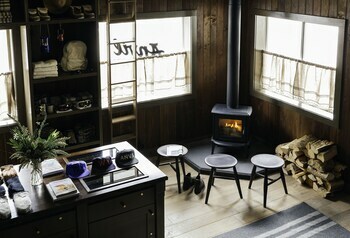 At Snow King Resort you can hit the slopes then swap stories over hearty food and one or two drinks. Travelers in this destination have a great range of options. The preservation of our native plants and animals is of fundamental importance. Enjoy the stillness of nature at Miller House and see what sorts of animals are about. Still got some time on your hands? The intimacy and accomplishment of live theater is difficult to ignore. Book your ticket for a production at Pink Garter Theater and experience its charm for yourself! No matter how fancy your hotel room is, don't spend your break confined to your room or chilling by the pool. There are boundless incredible experiences to be had! Head to our Jackson Hole things to do page for a full list of activities. 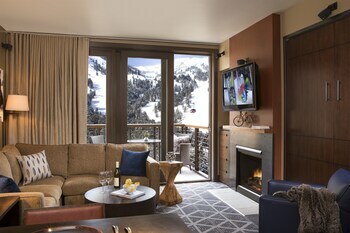 Tour Jackson Hole with ease knowing that you've got your accommodations secured. With at least 51 properties available, booking a comfy bed for your cheap vacation or luxury getaway won't be difficult! If you've got a bit of jet lag, there's nothing more pleasant than kicking back in a posh room and ordering some room service. See what mouthwatering meals are waiting for you at the Teton Pines Townhomes by Jackson Hole Real Estate Company (1755 US 89) or the Hotel Jackson (120 North Glenwood Street). If you've added up the numbers and these don't suit your budget, don't fret — we've got some more affordable options. Take a look at the Pony Express Motel (1075 West Broadway) and the Super 8 - Jackson Hole (750 S Hwy 89). The airport is seldom the most enjoyable part of your vacation, but there's nothing like the feeling of knowing that your trip to Jackson Hole is just a flight away! 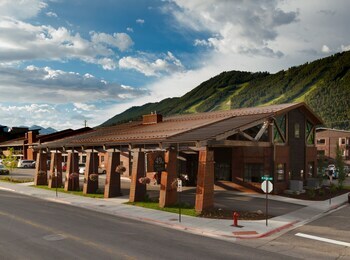 Once you touchdown at Jackson Hole Airport (JAC), you'll be 9 miles (14 km) from the middle of town. An experienced skier’s winter playground of gravity-defying chutes and ledges also caters for absolute beginners and those looking for gentler snow-based fun. Travel next to this long mountain range to see wildlife, observe beautiful scenery and take photos. Explore its peaks, lakes and waterfalls in any season. Carve fresh powder and explore groomed slopes with a backdrop of the breathtaking Grand Teton range at this laid-back ski resort in Alta. 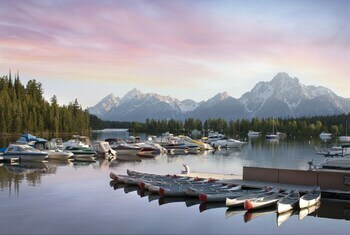 Go boating, hiking, fishing and camping on remote islands at this vast lake set in the shadow of the mountains of the Teton Range. 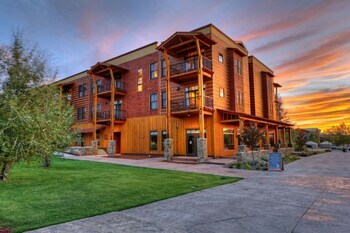 6 blocks from Jackson Town Square and 10 miles from Jackson Hole airport, this resort is adjacent to year-round Snow King Resort, which offers skiing, snowboarding, hiking, mountain biking, and alpine golf. 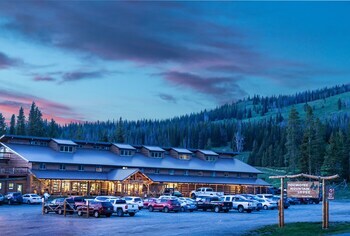 Situated at the gateway to Grand Tetons National Park, this hotel is within walking distance of downtown Jackson and the town square and between the Snow King Ski Area and Jackson Hole Mountain Resort. 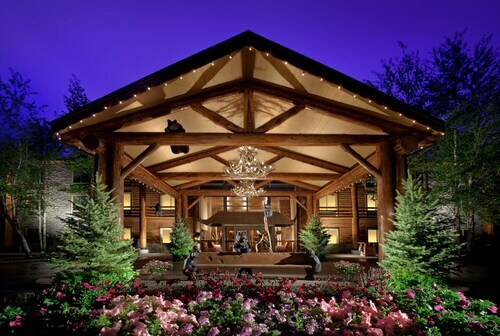 The Lodge at Jackson Hole, located just minutes from Jackson’s bustling Town Square and the surrounding parks. Conveniently located near the ski slopes, this Jackson hotel is within 1 mi (2 km) of Jackson Hole Historical Society and Museum, Jackson Town Square, and Snow King Resort. Jackson Hole and Greater Yellowstone Visitor Center is 1 mi (1.7 km) away. Located near the slopes, this Jackson hotel is in the city center, within a 10-minute walk of Jackson Hole Playhouse and Jackson Town Square, and close to winter sports such as cross-country skiing and skiing lessons. Snow King Resort and Jackson Hole and Greater Yellowstone Visitor Center are also within 1 mi (2 km). 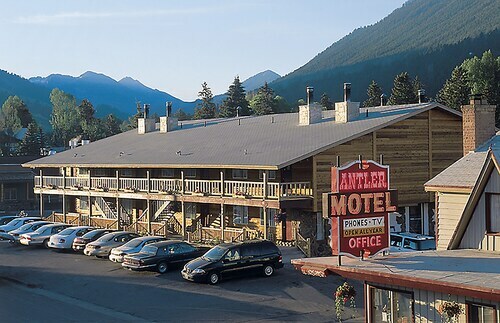 Situated in Jackson, this motel is within 3 mi (5 km) of Jackson Hole Rodeo Grounds, Jackson Town Square, and Snow King Resort. Jackson Hole and Greater Yellowstone Visitor Center is 2.7 mi (4.4 km) away. 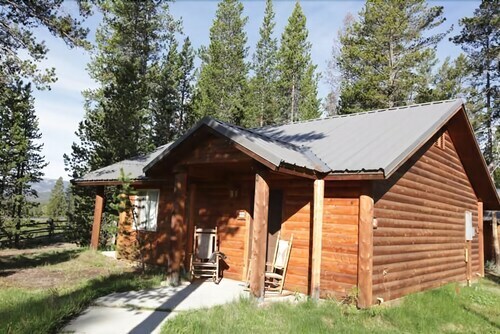 Situated in the mountains, this motel is within 3 mi (5 km) of Jackson Hole Rodeo Grounds, Jackson Town Square, and Snow King Resort. Jackson Hole and Greater Yellowstone Visitor Center is 2.7 mi (4.4 km) away.